Trojan's 560g Claw Hammer will drive all but the smallest nails with ease, while its claw will extract nails that are misaligned or bent while being driven in. 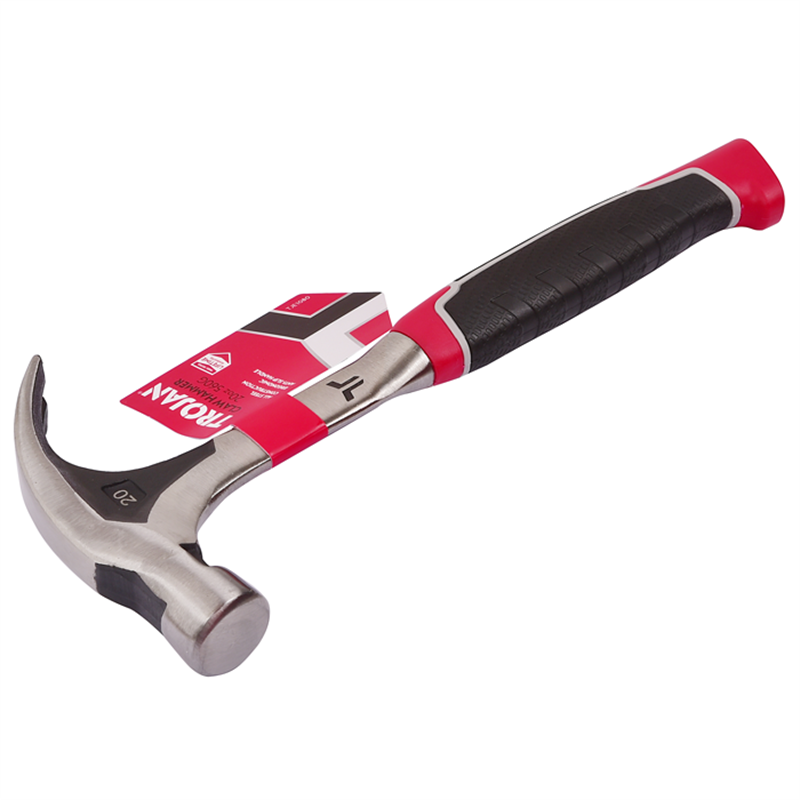 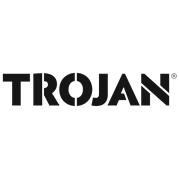 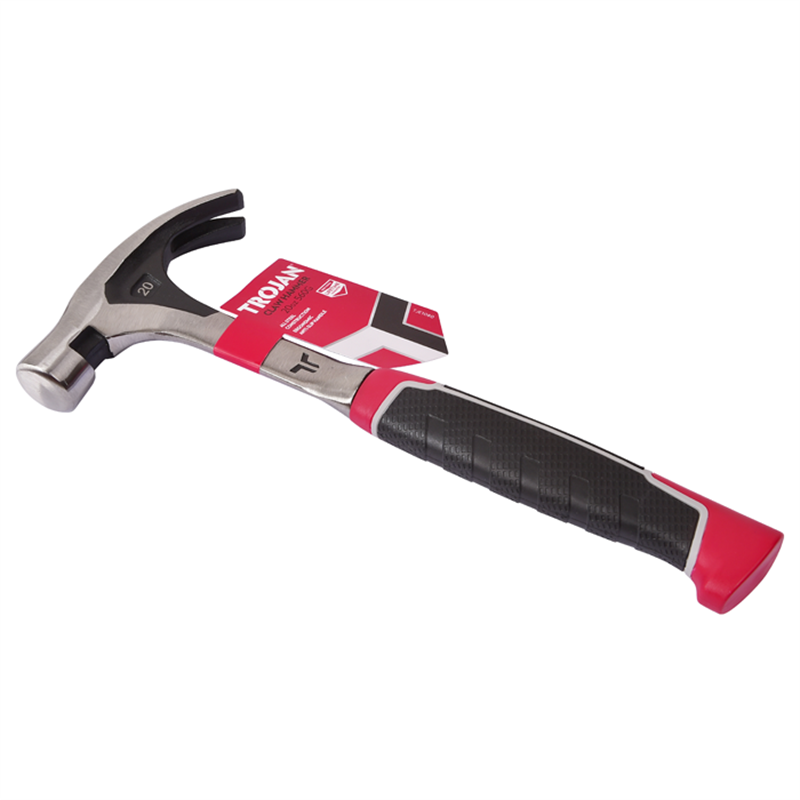 Ideal for use in the modern workplace, DIY or construction, the Trojan Claw Hammer has been specially designed with an ergonomic anti-slip handle for greater comfort and control. 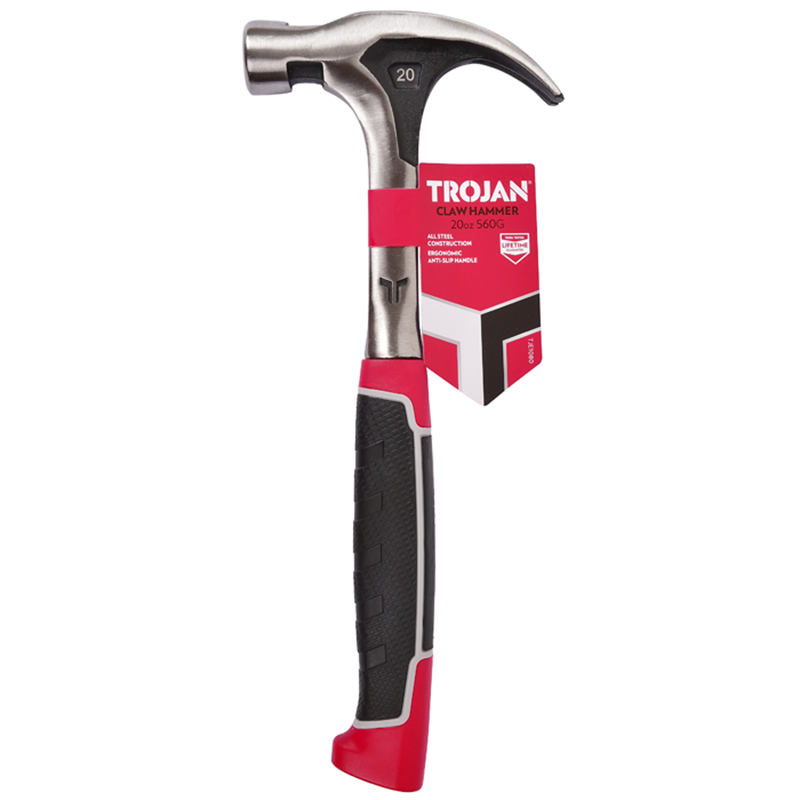 With an induction hardened, carbon steel head, and fibreglass handle, the Trojan 560g Claw Hammer comes with a lifetime guarantee, ensuring it's ready to get the job done, year after year.